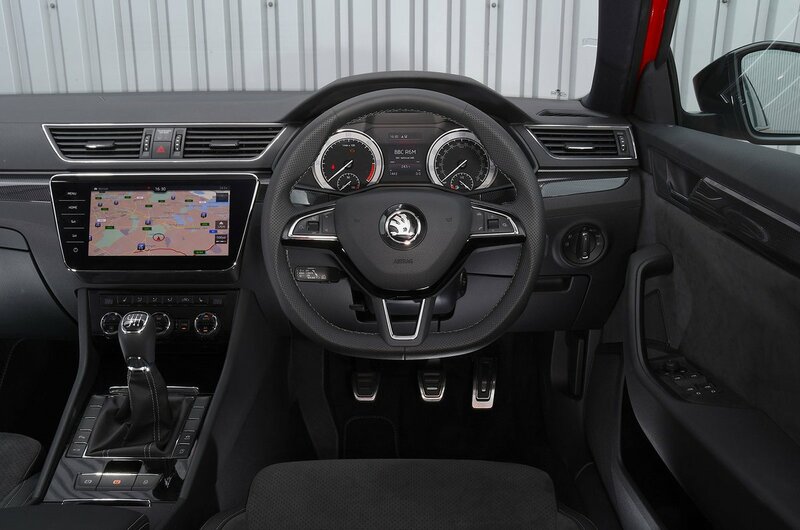 Skoda Superb Interior, Sat Nav, Dashboard | What Car? All versions have a height-adjustable driver’s seat as standard. SE trim adds a manual lumbar adjuster, while SE L Executive and above come with electric seat adjustment and a memory function. A large adjustable centre armrest is standard across all trims. One fly in the ointment is the steering wheel. It adjusts manually for height as well as reach, but some drivers may find that it obscures the top of the instruments unless the wheel is set unnaturally high. Other than that, the dials are clearly legible and the dashboard is well laid out, with all major buttons within easy reach. There’s a clear view forward, thanks to fairly slim windscreen pillars, while large mirrors give a good view of what’s coming up alongside you. The view behind is less open; low-lying objects are obscured by the Superb’s high rear window line. The thick rear pillars restrict the view over your shoulder, too. In mitigation, all versions from SE upwards come with front and rear parking sensors as standard. In fact, there are a number of other options to make manoeuvring the Superb easier. These include front parking sensors, a reversing camera (standard on Laurin & Klement), a parking pilot that spots a suitable space and steers the car into it, blindspot monitoring and a heated front screen for clear vision on frosty mornings. All Superbs come with basics such as Bluetooth, a USB socket and a multi-function steering wheel as standard. You also get an SD card reader and a DAB radio. Entry-level S trim has a 6.5in touchscreen, which becomes an 8.0in version when you move up to SE or Sportline. SE also includes SmartLink – a feature that allows you to operate your smartphone’s apps from the car’s screen, along with Apple CarPlay and Android Auto. On SE L Executive, Sportline Plus and Laurin & Klement models, you get an even bigger 9.2in touchscreen with sat-nav and wi-fi capability, as well as a DVD player. It’s annoying that the shortcut buttons are on the left side of the screen, though, so it’s a bit of a stretch to reach from the driver’s seat, and there are no dials to control the volume, either. But the icons on the screen are bigger than in the other Superb infotainment systems, and are easier to accurately stab on the move. However, BMW’s iDrive and Audi’s MMI systems are less distracting to use when you’re in motion, thanks to their rotary controller interfaces. Music lovers may appreciate the upgraded 12-speaker, 610W sound system that’s standard on Laurin & Klement trim and optional on all other models apart from S.
It’s difficult to fault the Superb for quality, especially at the price. The exterior panel gaps are tight and the doors close with a reassuring thud. Inside, the materials are of tiptop quality and appear well put together. 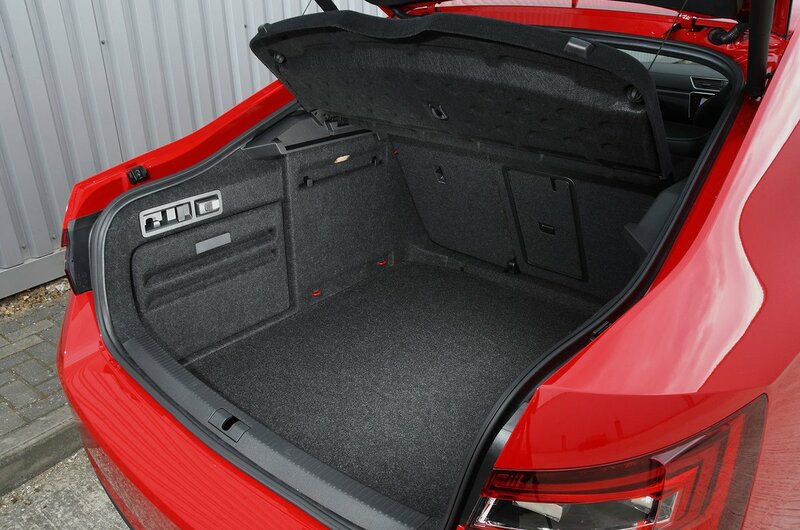 For example, there are pleasant soft-touch materials on the upper interior surfaces, along with carpeted door bins and rubber-lined cubbies. Any harsher-grade plastics are generally reserved for the lower surfaces. The Superb's switches are well damped and the classy fonts on the dials look smart. 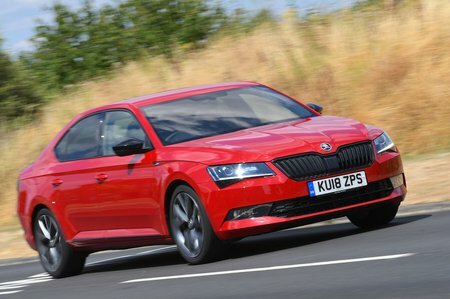 It might not be as plush inside as a BMW 3 Series or Audi A4, but the Superb has much more of a premium feel than its mainstream rivals the Ford Mondeo and Vauxhall Insignia.